Lobster and steamers are part of my DNA. I am a born and bred New Englander. 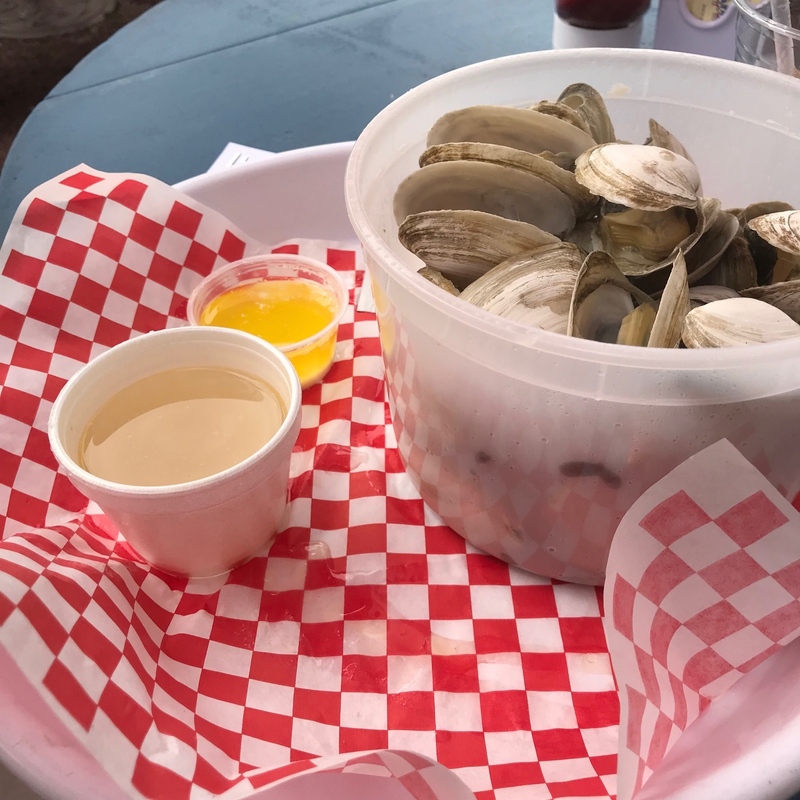 Fancy lobster dinners are okay, but give me a worn picnic table outside, a server donning a t-shirt with the lobster shack logo emblazoned across their chest, paper plates brimming with steamed clams, lobster meat, claws and melted butter…I am a happy camper. 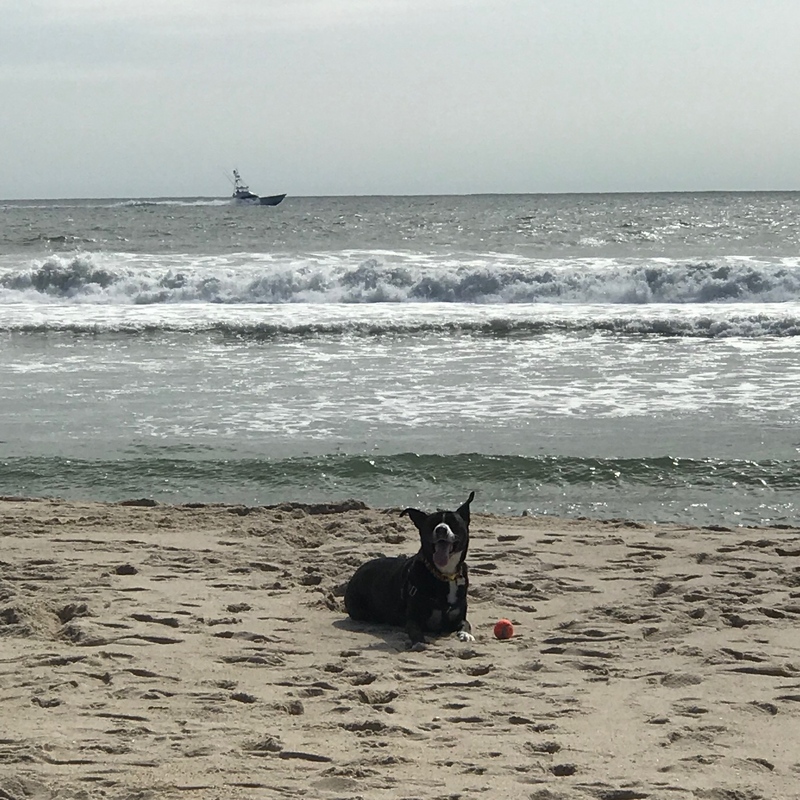 Last weekend we headed to the Hamptons with the doggies. 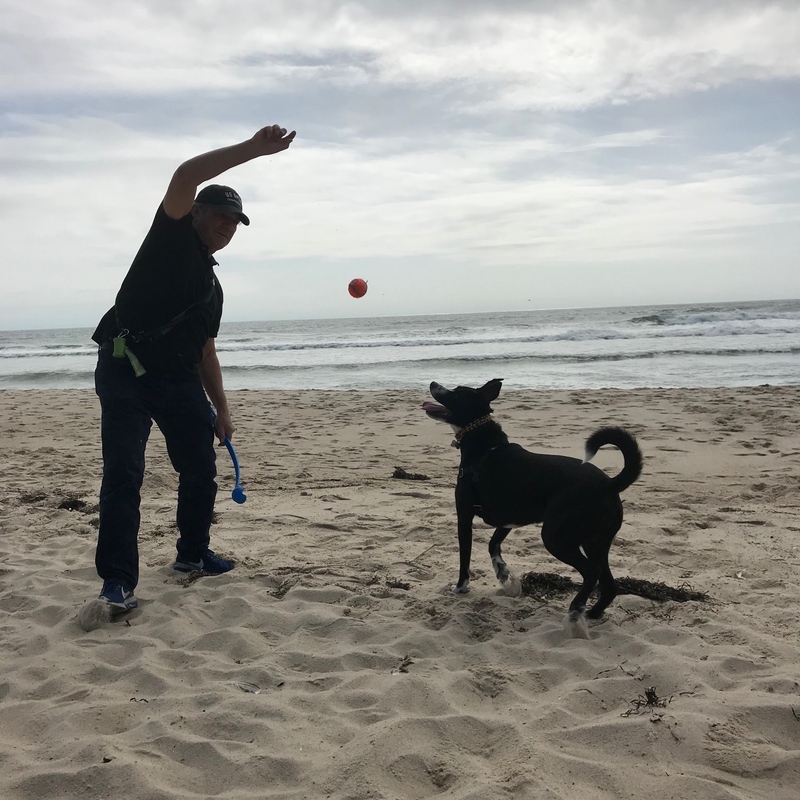 The family spent 4 glorious hours romping by the ocean at Coopers Beach in Southampton. Hunger set in and we loaded happy, sandy, wet dogs into the car and headed towards Amagansett. 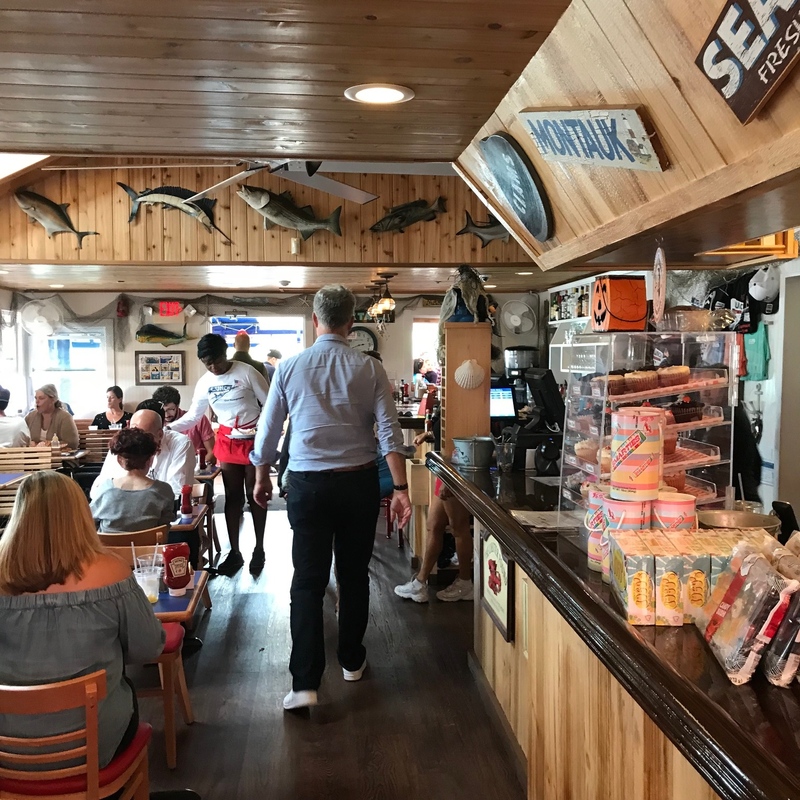 The traffic was heavy on the two lane Montauk Highway, but the visuals were charming as we did a gentle crawl at 25mph through Water Mill, Sagaponack, Bridgehampton and East Hampton finally arriving in Amagansett which is located close to Montauk. 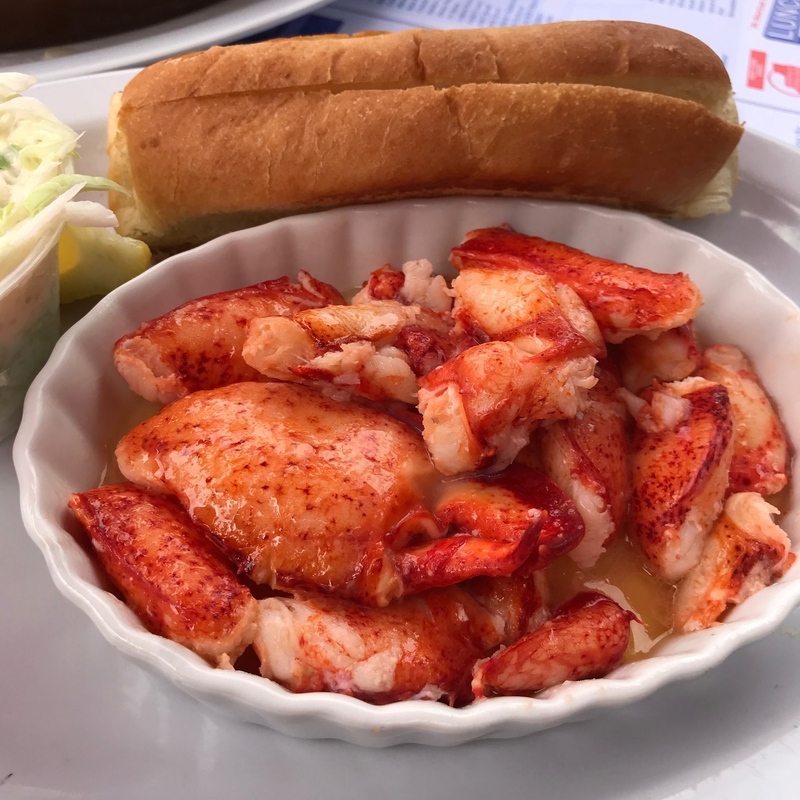 Destination: Lobster Roll, the iconic roadside shack. The beachy restaurant was packed as usual. 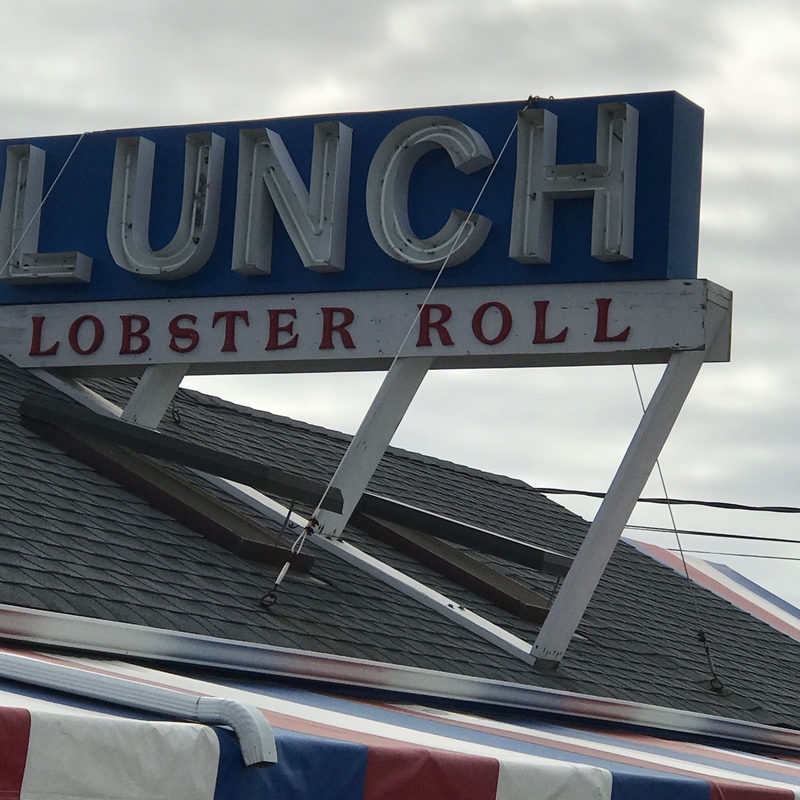 Being an ultra popular mainstay since 1965, the Lobster Roll also know as ‘Lunch’ due to its large rooftop sign, has shabby chic appeal. We scored a patio picnic table around 3pm. I convinced David to do a split. 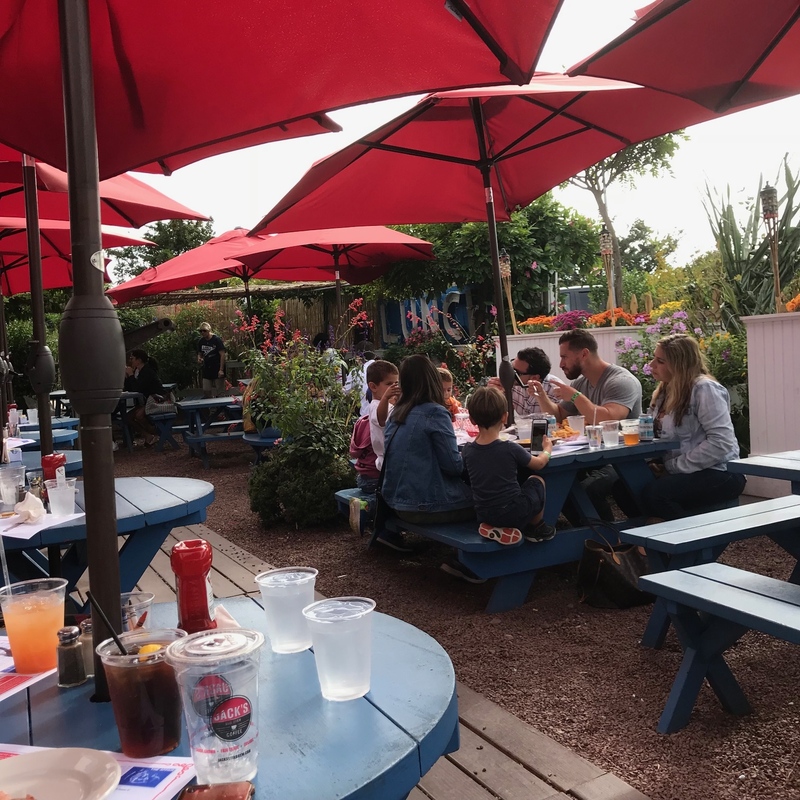 We ordered the popular Hot Lobster Roll which is served with the warm succulent lobster meat in a ceramic dish alongside a warm hotdog bun with a separate serving of creamy coleslaw ($29.95). The lobster was resting in a shallow dish of butter and garlic. The meat was thick and delicious, the coleslaw surprising good since I only enjoy my mother’s and the bun warm and crunchy. Next up, steamers which warmed my heart. I savored every moment of my Steamed Clam entree ($25.95). The steamers were large and sweet. 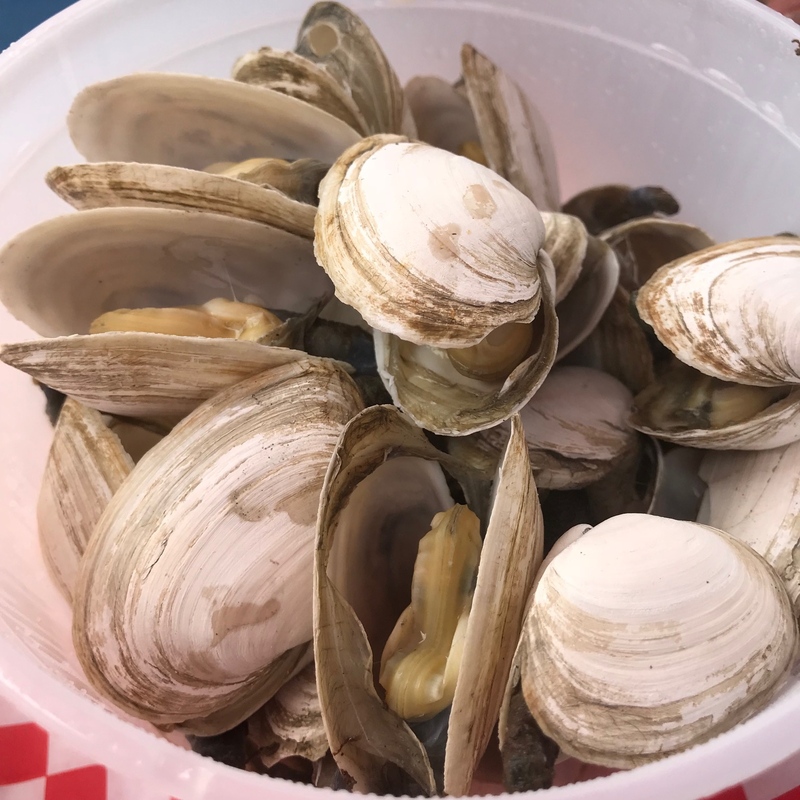 I always enjoy the process of peeling the black skin off the clam neck, dipping the seafood gem into the residual clam broth and then moving forward with a delicate dunk in rich, melted butter. The two step process extended to the lobster meat as I perceived a garlic note in the lobster dish so I improvised and dipped the lobster in the clam broth and then dunked the sweet meat into the melted butter and the result was heaven. 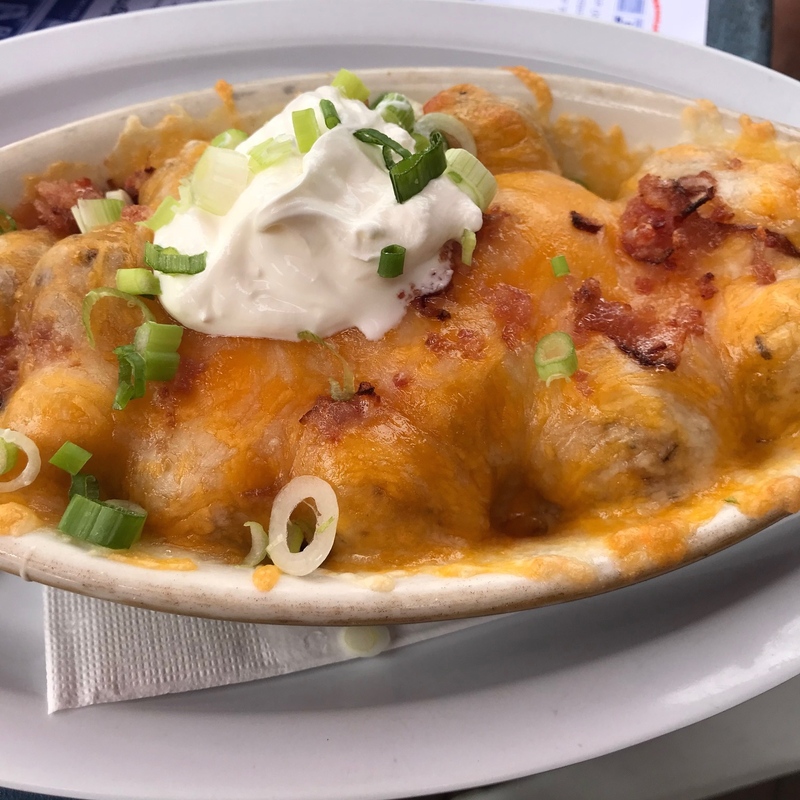 David ordered stuffed potatoes which were boiled potatoes with melted cheese, sour cream and chives…interesting, but not that appealing. We should have opted for the fries special which was an addition $2.75 with the Lobster Roll. Mary was disturbed that we did not enjoy the potatoes and took them off the bill without any comment from the consumers. 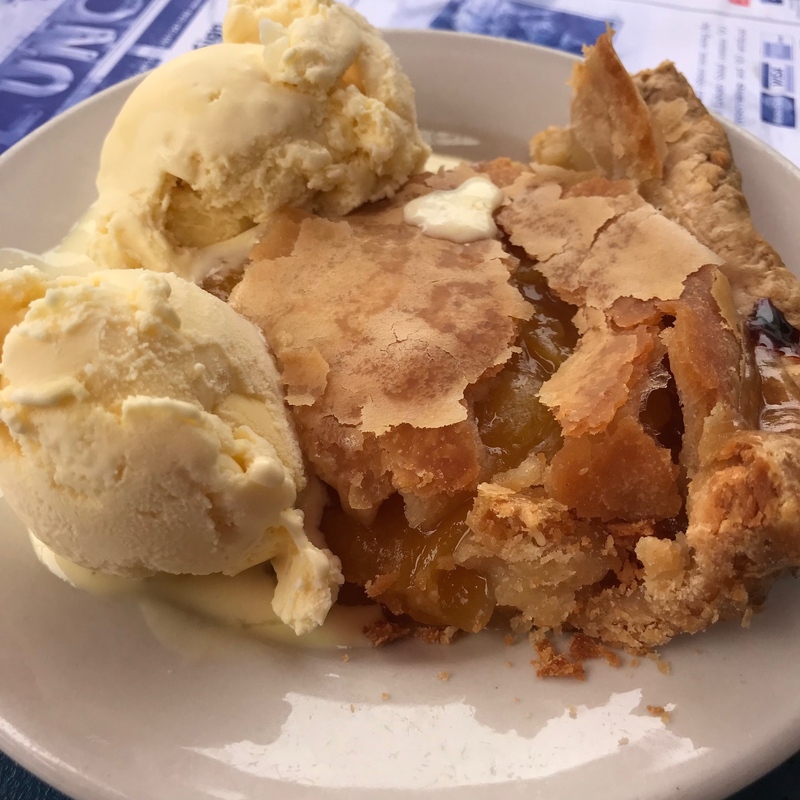 The homemade peach pie ($6.95) appealed to David and he indulged with a scoop of vanilla ice cream ($3.50). The Lobster Roll is worth the drive. What a fun, relaxed, delicious way to enjoy a leisurely, casual meal. You can keep your Michelin Star restaurants. 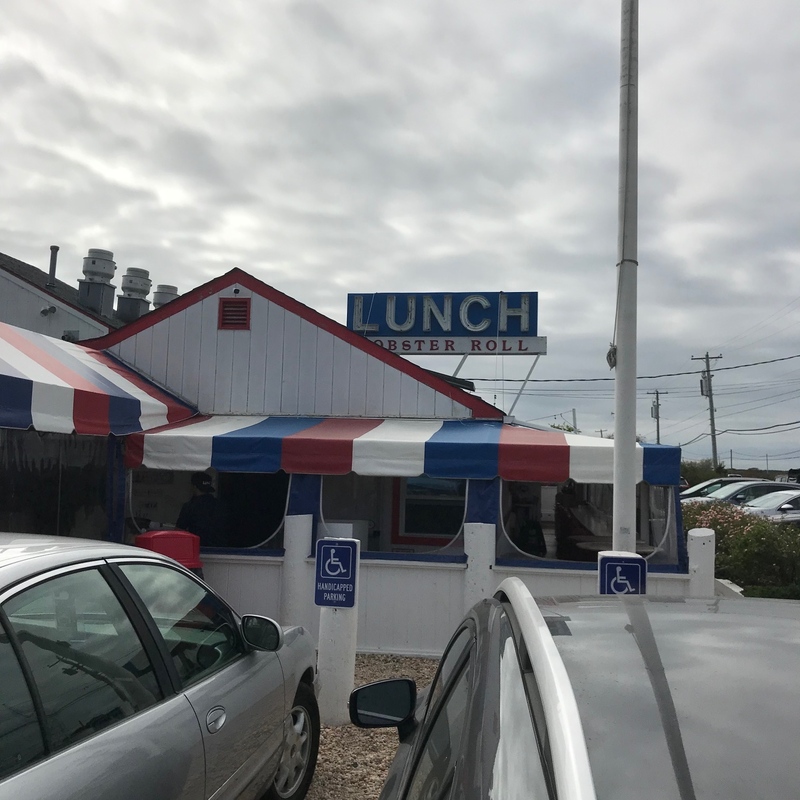 I love places like the Lobster Roll along with Woodman’s in Essex, Massachusetts and the plethora of lobster shacks in Maine. Lobster Roll 1980 Montauk Highway Amagansett, New York. Presently open Friday and Saturday 11:45am-9pm, Sunday 11:45am-8pm, and Monday 11:45am-4:30pm. Closed Tuesday-Thursday. Closes for the season on October 22.